This post is brought to you by the Portable North Pole. All opinions are my own. When it comes to the holidays, no matter how old I get, I still love the magic of Santa. Can I tell you a secret? I still leave cookies out for the big guy! My son has reached that age where he’s just not sure. I think he WANTS to believe, but his friends tell him otherwise. He knows I want him to believe, so he also tells me what I want to hear. Regardless of whether he’s on the fence or completely on the other side, we can still have capture the magic of Santa with Portable North Pole. Before I share my excellent experience with Portable North Pole, I want to tell you a bit about it. You may already know about this cool service, it’s been around for seven years! It’s open to all children and families for free. There are premium options, but you don’t need to spend a dime to create a fun video for your children, grandchildren, nieces or anyone else. Even adults love it! I know I do! While the Portable North Pole is fantastic for moms and dads who want to surprise their kids who still believe in Santa, it really goes way beyond that. With all the cool things you can do with the video, it’s the perfect unique way to reach out to friends and families far away. Creating your free video from Santa is really easy. Select the free video option, the answer the questions on each page. 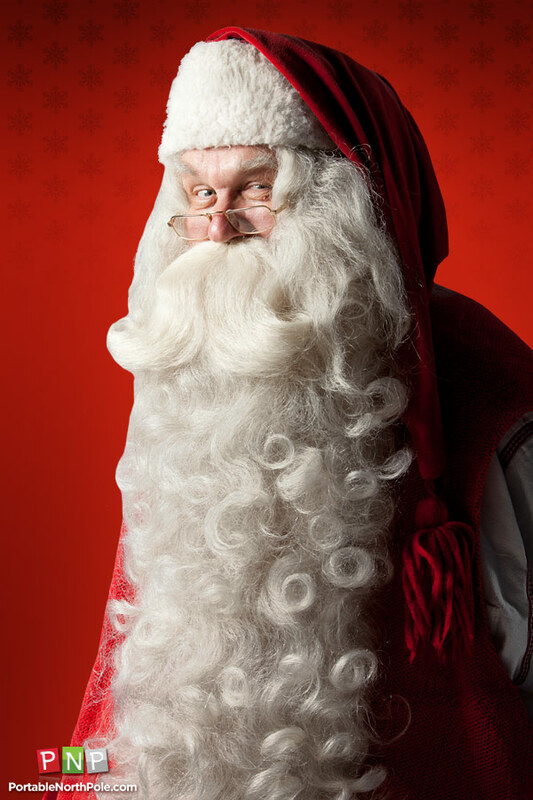 Santa will ask you your child’s name, birthdate (if known, if you’re making it for a friend’s child and you don’t know it, you can skip this) and for a photo. Listen to the pronunciation to make sure Santa is saying it right! Click on the next page and answer a few more questions. 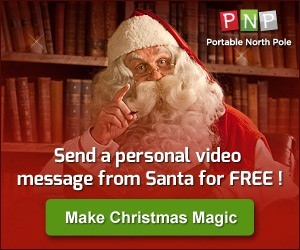 Ready to make your own Portable North Pole video? There are three fantastic options this year: the free video, the premium video and the Holiday Pass. Free video: Available online and as a downloadable app, both are free this year. Last year, the app was $3.99. Premium ($4): The premium version allows for much more personalizing than the free version. You can add more photos and even choose from different story lines. It’s perfect for families with more than one child. It also allows for unlimited mobile viewing. Holiday Pass ($9.99): This is the ultimate package. 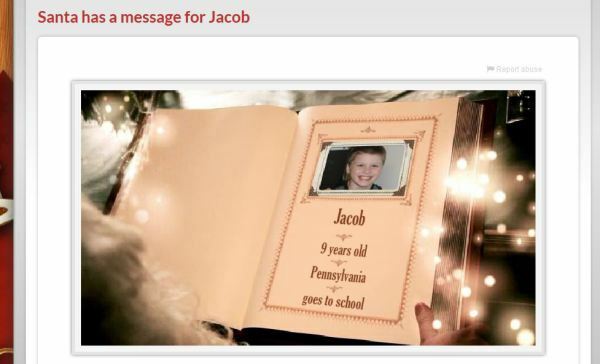 Create an unlimited number of premium videos and calls from Santa. Make videos for everyone in your family if you want! Perfect for large families or for those who just REALLY love to create messages from Santa! The fun just doesn’t end with videos and phone calls from Santa! 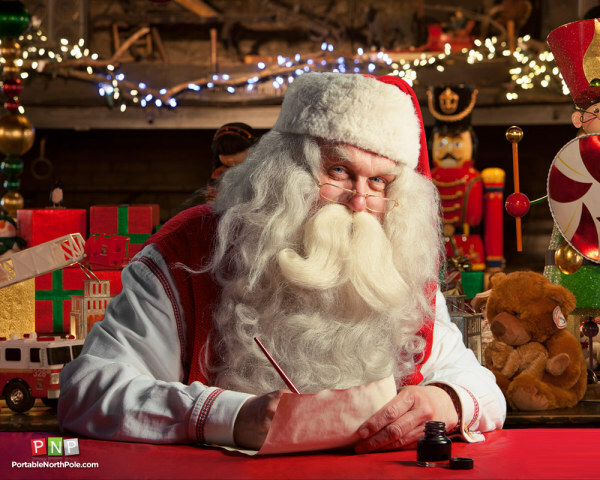 You can go behind the scenes at Santa’s Village too! Check out the Verdict Machine run by a pedaling elf. See the gorgeous ice sculptures. Even get a glimpse into Santa’s Workshop. My personal favorite part? The reindeer! One more thing you need to know about Portable North Pole, and it’s a biggie. 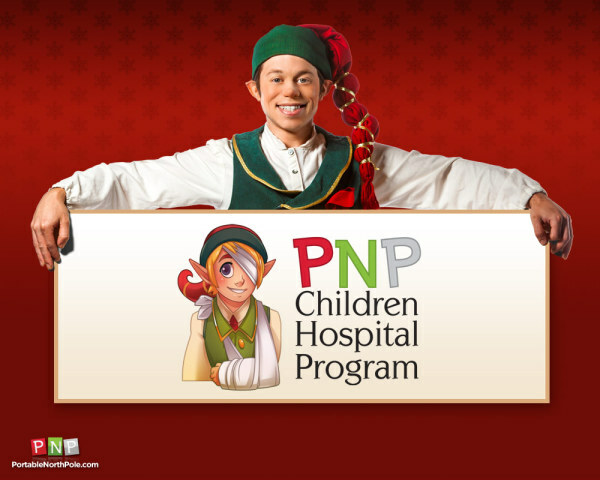 They donate 5% o all web sales to children’s hospitals in your region (the region of each purchaser, to be more precise). They pledged $75,000 last year and hope to increase that this year!